A mysterious box that cannot be opened. A line of witches and the melding of two very distinct spiritual ideals. 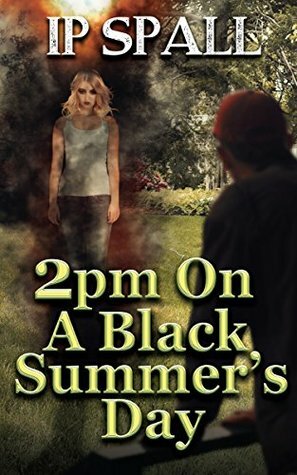 Throw in the military while all these groups try to fight demons and you’ve got 2pm, On a Black Summer’s Day by IP Spall. An interesting story that takes place in a quite town in America spanning at least a decade while the true main character doesn’t make an appearance until later on. We begin with a normal teacher who is trying to make a few extra dollars from his eclectic collection of ‘junk’. It is Samuel that finds the strange box at a market but it will be his son Chris that opens it all those years after his father’s death. What begins as a drunken gathering unleashes forces beyond human understanding. Shadow creatures pour into the world of man from beyond a void. Their appetite is insatiable and they thirst for human blood. Spall has a knack for the surprise. What first seems like a simple book about growing up and coming to terms with grief unexpectedly morphs into a supernatural thriller where no one knows who will die next. The surprise demon summoning is just that: a surprise. While we got an idea that magic exists and is relatively accepted in this world, there was no foreshadowing for the battle to come. The surprise works in Spall’s favour as it is executed quickly before the reader or the cast has time to react. This allows the reader to be pulled in and feel as though they are part of the story themselves. A clever tactic for sure. There are some drawbacks to this book, however. Stylistic and grammatical issues aside, the story appears to take place in the United States of America. This isn’t clarified until a chapter or so into the book but it comes as a surprise. While reading how the characters talk and the description of the town, it feels as though this book takes place in England, perhaps in a small village or hamlet. There are certain phrases and ways in which the characters talk that do not occur in everyday American speech. This is not relegated to a single family, but affects all in the story. This is a bit confusing for the reader. Had the story taken place in England or anywhere else in the United Kingdom it would have seemed natural. This jarring bit of speech aside, the entire flow of the book seems as if it has been sped up. Time passes in a blink and characters whose point of view we were reading from on one page are dead on the next. 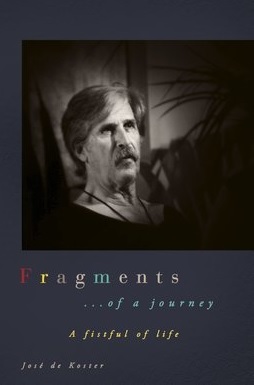 It fragments otherwise good storytelling and detracts from the overall tale as a whole. A massive battle occurs and then the story is just over. Those who delight in reading about magic, the macabre and the quintessential fight between light and dark are sure to enjoy IP Spall’s book 2pm, On a Black Summer’s Day. Posted on March 2, 2017, in Book Reviews, Three Stars and tagged 2pm on a black summers day, action, amazon, amazon book, amazon books, amazon ebook, author, blood, book, book review, books, dark fantasy, demon, ebook, ebooks, fantasy, fantasy book review, fiction, fighting, goodreads, horror, human, ip spall, kindle, kindle book, kindle ebook, literature, magic, mystery, novel, publishing, reading, review, reviews, short stories, stories, supernatural, supernatural thriller, thriller, urban fantasy, writing. Bookmark the permalink. Leave a comment.